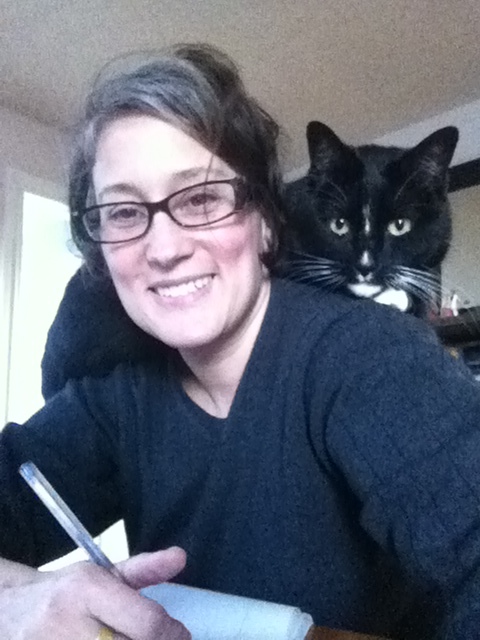 This once in a lifetime trip is dedicated to my writing partner of so many years, Achilles, who died four weeks ago. Named after the great Greek warrior, Achilles was my constant companion and bestie. Hail to thee, great warrior, Achilles! 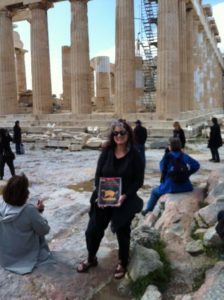 After decades of writing and thinking about it, I finally made it to Greece! This once in a lifetime trip is being led by Stanford professor Patrick Hunt, who is a National Geographic fellow and the world expert on Hannibal’s crossing of the Alps. Hunt frequently appears on National Geographic, the Discovery channel, and the History channel. Every quarter I enroll in night classes at Stanford where they have amazing world-renowned classics scholars. I just finished a class on Thucydides and the Peloponnesian War and another on Ten Great Battles of Antiquity. I traveled through eight time zones yesterday, so I spent today resting up for the fast-paced tour that begins tomorrow (Saturday, here in Greece) and only ventured out for a taxi ride to Mt. 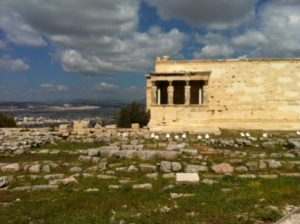 Lycabettus with a 360-degree view of Athens, a quick look in the National Archaeological Museum, and a leisurely bookstore visit where I bought a dozen great ancient world books for the classroom. This famous statue, the Artimesion Jockey, which dates to around 150-140 B.C. was found in 1926 in an ancient shipwreck. 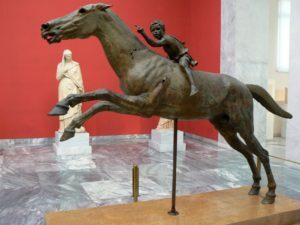 The boy appears to be nine or ten, and reminds me of the story I told Room 5 of how twelve-year old Alexander the Great tamed Bucephalus, the wild-spirited horse, who was HIS constant companion and bestie for many years! 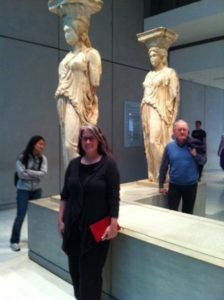 Trip Notes: This trip fits in perfectly with our Social Studies unit theme Then and Now. 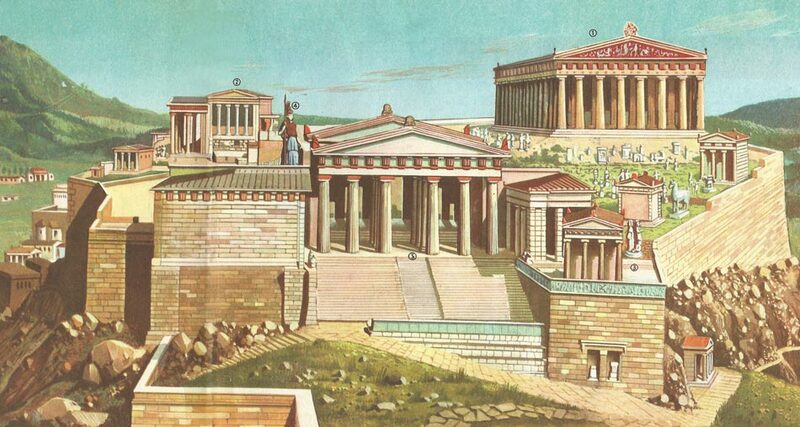 And in May, when our school hosts it’s own Olympic games, I will give a presentation at an assembly on my visit to Olympia next week, which was where the first Olympic games were held! I have planned this trip for a year now, and am extremely excited to finally be here. However….I do miss you all! Be good! Food I Ate Today: an egg scramble with Greek Feta cheese atop a delicious bread slice. Scrumptious, but my body may take some getting used to these new foods. I also drank a glass of carrot juice, which I love! I Wonder: I wonder if they had carrots in ancient Greece! Lesson and Activity: Daylight comes at different times to different communities around the world. Time Zones were invented a little over a hundred years ago to help people when they wanted to travel by train, which was a new invention at the time. 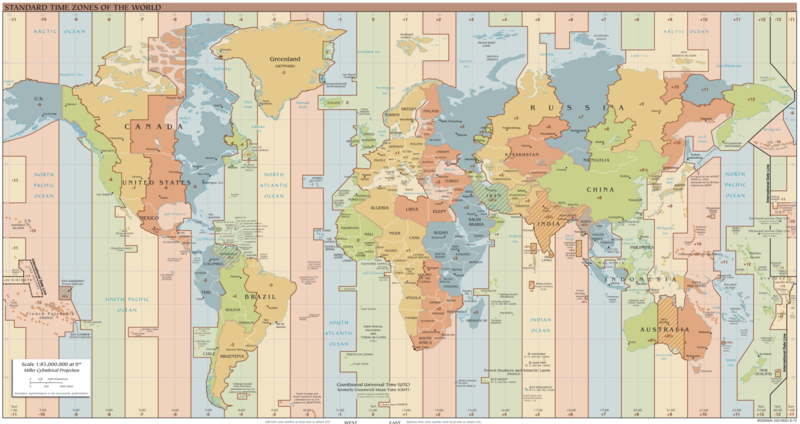 Here is a map of the world that shows the time zones. Have you ever traveled to a different time zone? Ask your family if they know anyone who lives in a different time zone.